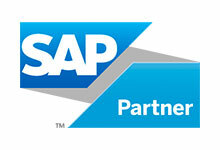 Integrate your SAP data in your Salesforce Destination – fast, straight-forward and user-friendly. 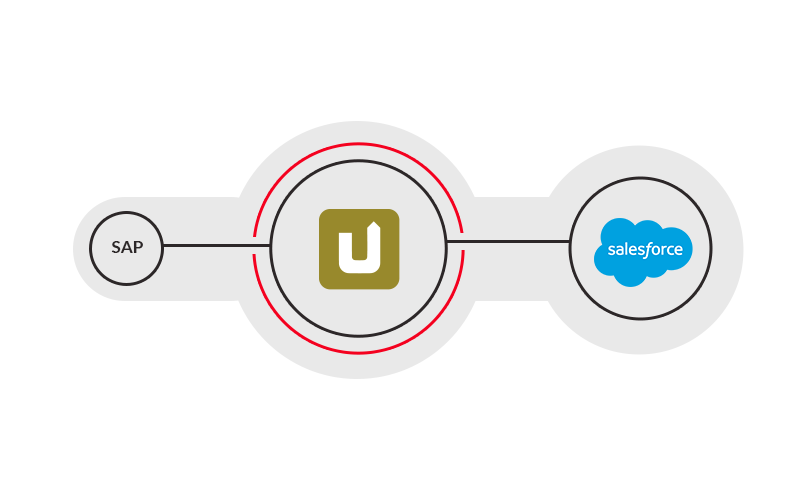 Xtract Universal enables you to extract SAP data to any destination environment, and thereby significantly reduce development time, thanks to a high degree of automation. Salesforce is much more than just a CRM solution. It brings together all your customer information in a single, integrated platform that enables you to build a customer-centred business from marketing right through to sales, customer service and business analysis. This gives you more complete understanding of your customers to drive your business’s success. 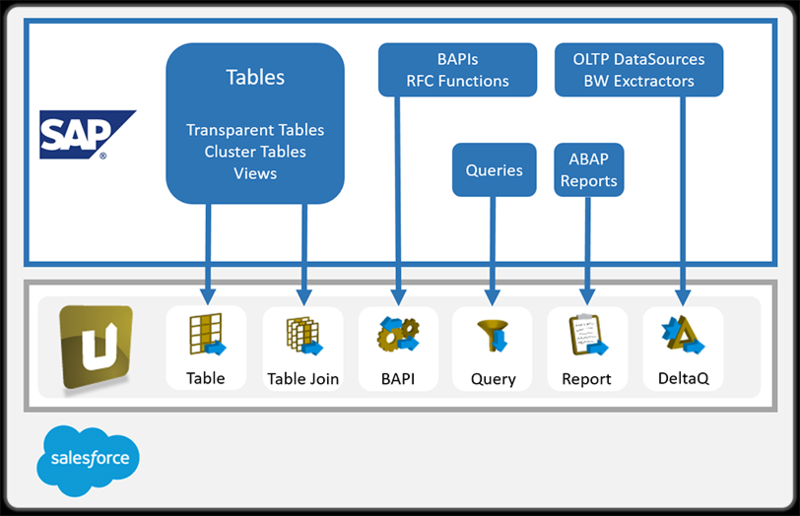 Generally speaking, data extraction between SAP and Salesforce can be modeled in different ways depending on the desired architecture and how it will fit into an existing customer landscape. 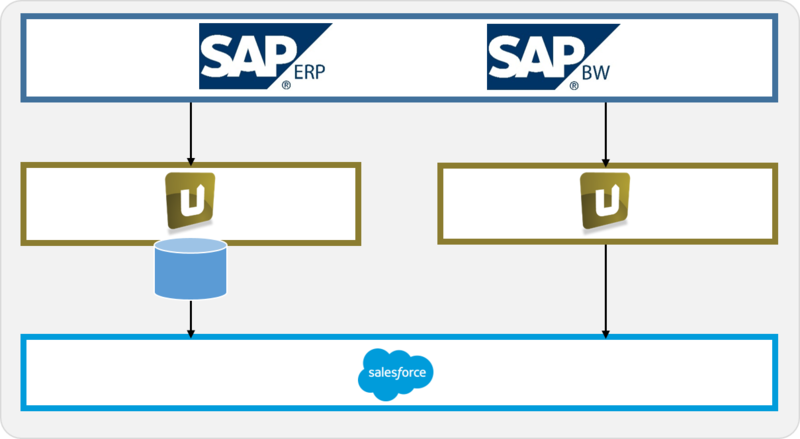 In the first option Xtract Universal extracts SAP data directly to Salesforce without any intermediate storage or middleware. A second option is to fill an arbitrary data warehouse (e.g. Oracle, Teradata, etc.) 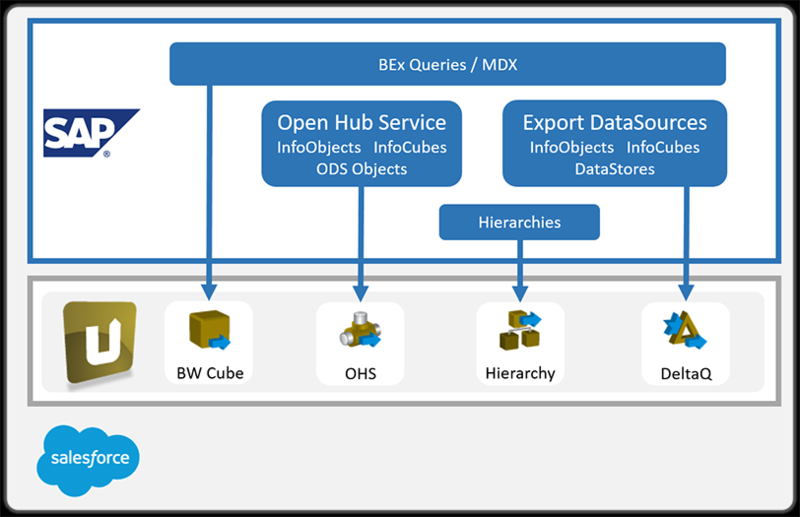 using the concept of Instant Data Warehousing, and subsequently accessing the data with Salesforce.